Since the 2015 launch of the Global framework to eliminate human rabies transmitted by dogs by 2030, WHO has worked with the Food and Agriculture Organization of the United Nations, the World Organization for Animal Health, the Global Alliance for Rabies Control and other stakeholders and partners to prepare a global strategic plan. This includes a country-centric approach to support, empower and catalyze national entities to control and eliminate rabies. 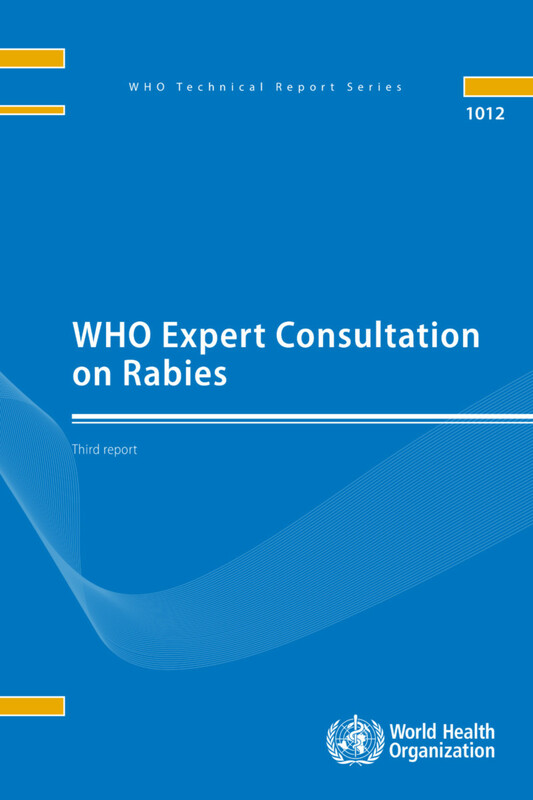 In this context, WHO convened its network of collaborating centers on rabies, specialized institutions, members of the WHO Expert Advisory Panel on Rabies, rabies experts and partners to review strategic and technical guidance on rabies to support implementation of country and regional programs. This report provides updated guidance based on evidence and programmatic experience on the multiple facets of rabies prevention, control and elimination. Key updates include: (i) surveillance strategies, including cross-sectoral linking of systems and suitable diagnostics; (ii) the latest recommendations on human and animal immunization; (iii) palliative care in low resource settings; (iv) risk assessment to guide management of bite victims; and (v) a proposed process for validation and verification of countries reaching zero human deaths from rabies. The meeting supported the recommendations endorsed by the WHO Strategic Advisory Group of Experts on Immunization in October 2017 to improve access to affordable rabies biologicals, especially for underserved populations, and increase programmatic feasibility in line with the objectives of universal health coverage.The collaborative mechanisms required to prevent rabies are a model for collaboration on One Health at every level and among multiple stakeholders and are a recipe for success.